And other choral jazz settings, to celebrate the launch of the Nonsuch Singers’ CD featuring these works. High-quality singing, innovative programmes and communicative performances are the hallmarks of Nonsuch Singers. The choir has gained a reputation for stylistic versatility in a cappella and accompanied works ranging from the Renaissance to the present day. Consisting of some 40 members, the choir typically gives six or seven concerts a year, mostly in prominent London venues but also further afield, and performs regularly with some of the UK’s leading instrumental ensembles and finest young vocal soloists. 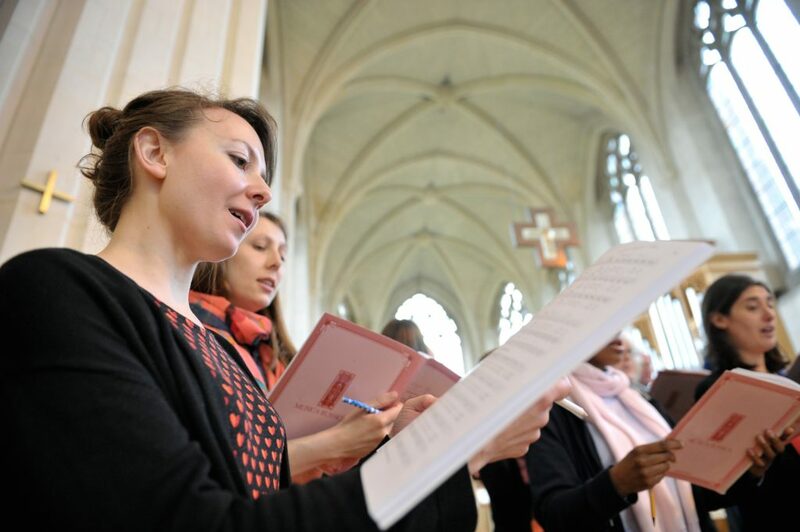 Founded in 1977, the choir owes its name to the location of its first – informal – rehearsal, held on the site of Henry VIII’s long-demolished Nonsuch Palace in Surrey. Nonsuch Singers have given a number of world premieres, including John Tavener’s Exhortation and Kohima in the Royal British Legion Festival of Remembrance at the Royal Albert Hall. In 2016 the choir released its first commercial recording featuring Gabriel Jackson’s To the Field of Stars, a work on a theme of pilgrimage to the church of St James of Compostela, of which the choir gave the UK premiere in 2013. The choir celebrated its 40th anniversary in March 2017 with a sell-out baroque performance of JS Bach’s St Matthew Passion in Southwark Cathedral. Tom Bullard trained at King’s College, Cambridge, and enjoys a varied career as solo baritone, teacher, choral director and vocal coach. He studies singing with Russell Smythe. In January 2013 he took up a new appointment as Music Director of Nonsuch Singers. Tom’s work as a solo baritone includes Mendelssohn’s Elijah, Bach’s St John Passion, and numerous performances of the Requiems of Fauré and Duruflé. He was a Britten-Pears Young Artist in 2010, studying English Song with Ann Murray and Ian Partridge, and in 2011 was chosen to compete in the Wigmore Hall/Kohn Foundation International Singing Competition. He has performed for private functions in venues ranging from The Ritz to 10 Downing Street. On stage his roles include Marcello in the Olivier-award-winning production of Puccini’s La Bohème and Figaro in The Barber of Seville, both for OperaUpClose, and leading roles in HMS Pinafore, Ruddigore and The Sorcerer. Musical theatre appearances include Sky Masterson in Guys and Dolls and Anthony Hope in Sweeney Todd. Joanna Forbes L’Estrange is an English singer, songwriter, composer and choral leader who receives engagements throughout the world. Born into a family of professional musicians – her father is the composer Sebastian Forbes and her grandfather was the famous Scottish viola player/arranger Watson Forbes – she graduated with an MA in Music from Oxford University. Joanna’s career began with seven years as soprano and Musical Director of the five-time Grammy Award-winning a cappella group The Swingle Singers, during which time she became renowned for her stylistic versatility, three-octave vocal range and consummate musicianship. Joanna lives in Hertfordshire with her husband, Alexander L’Estrange, and their two musically-gifted sons.